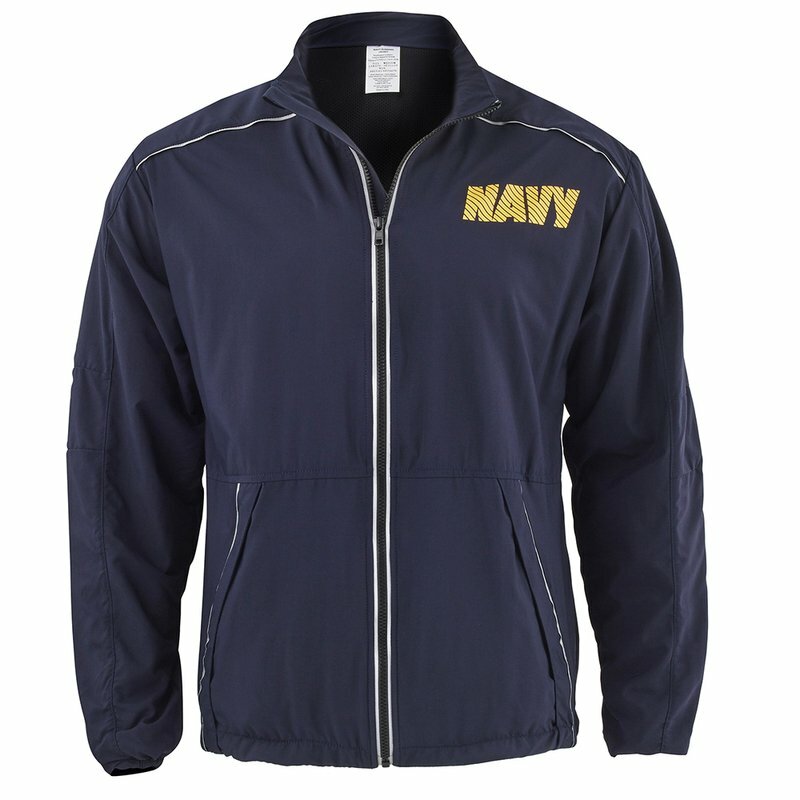 The fitness jacket is lined with a folded down collar. It has underarm and back vents, full length front separating slide fastener, elbow articulations, pockets with slide fasteners and storm flaps and comes with a hidden pocket with a slide fastener. The interior waist draw cord has a barrel lock and is adjustable through the jacket pocket. 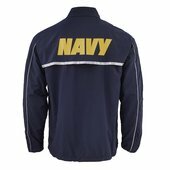 A Navy transfer in gold non-reflective will located on the upper left chest and centered across the back yoke. Reflective silver piping will be located on the front shoulders, back sleeve seams and either side of the jackets front slide fasteners. 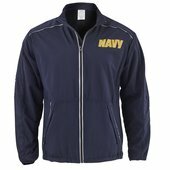 The jacket should fit without pulling or tightness across the chest. The hem length of the jacket should fall midway to the bottom pocket of the pant. The sleeve elastic should fall at the base of the hand.